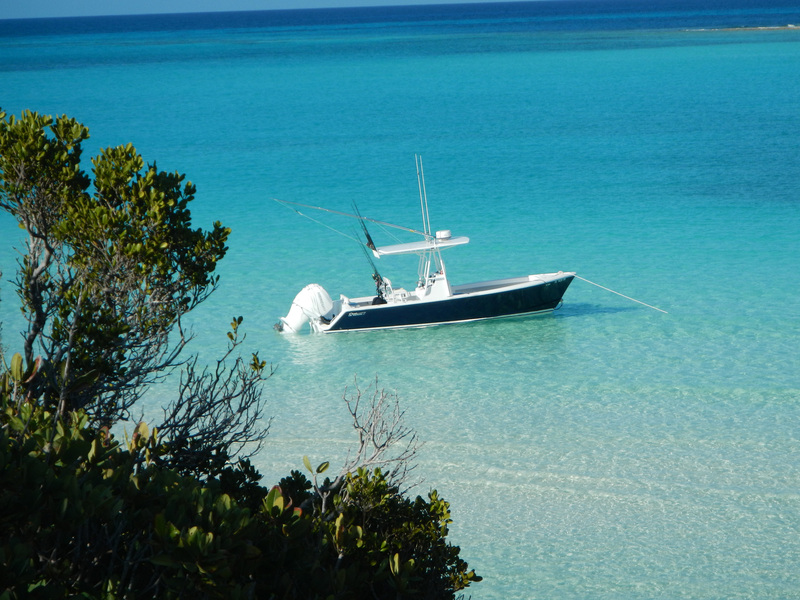 I’ve attached 3 photos of our incredible 26 CC taken off the beach at Shroud Cay, Exumas last month. 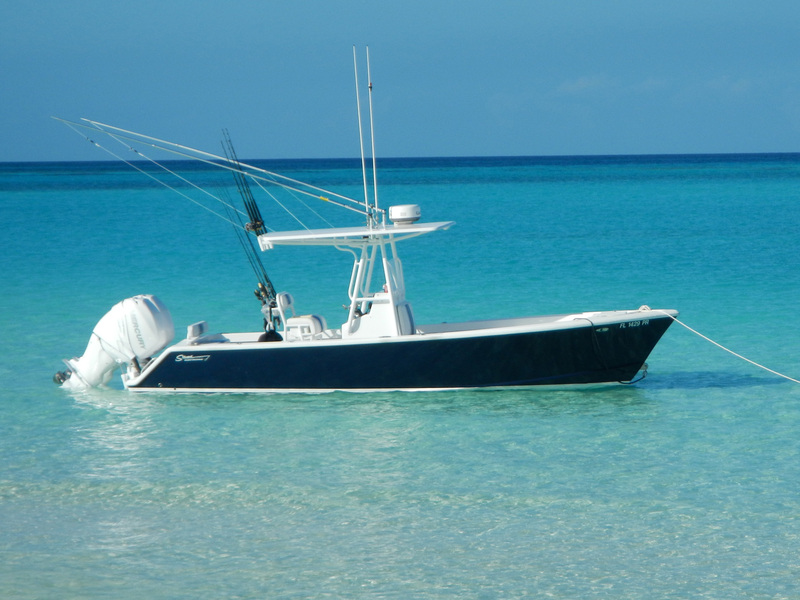 This boat was purchased by Joe Sebring (my boat partner) for use as a tender to our Hatteras just a few months ago. 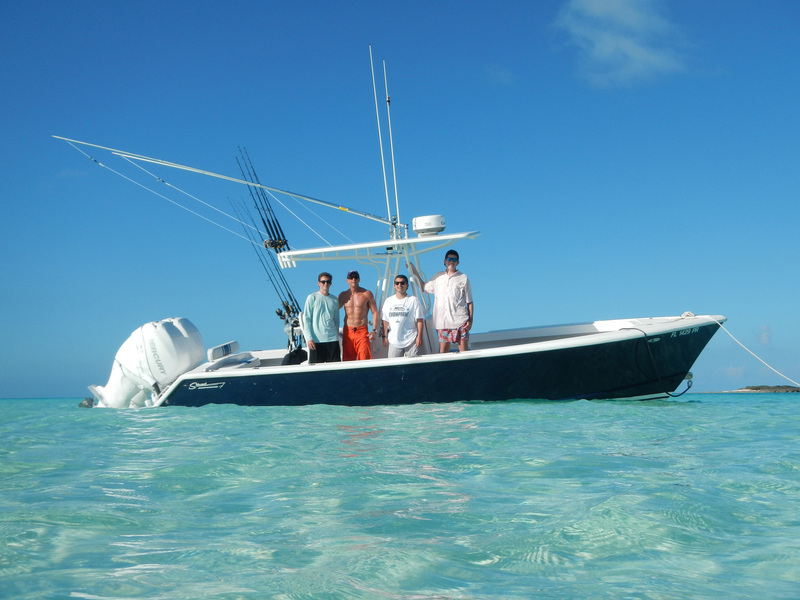 We towed it to the Exumas and she got her first real workout over a 3 week period there in April…I can’t tell you how many hours we put on it but it ran hard every day, with every imaginable task…we fished it off shore, fished it inshore, spear fished, snorkeled, more cocktail cruises than we could count, ran long distances on day trips, and even used it as a mobile dance floor on two occasions… WHAT A FANTASTIC BOAT! I just wanted to send you a couple of shots of her in some incredible water and tell you how much we are enjoying her. Next The opening of our new shop! !